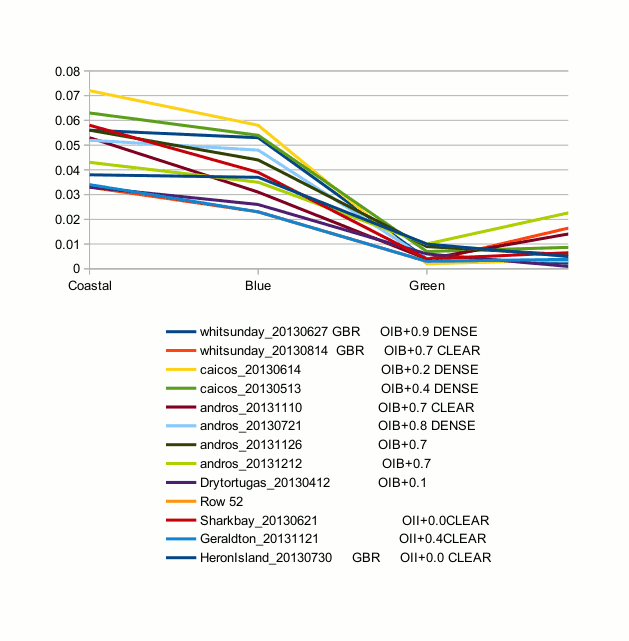 Landsat 8 OLI data: see "Using the USGS Landsat 8 Product"
WorldView 2 data: see "Radiometric Use of WorldView-2 Imagery"
Conversion into TOA reflectance: Landsat 8 spectral images can easily be converted into Top Of Atmosphere reflectance, using the metadata provided in the _MTL.txt text file: please refer to "Using the USGS Landsat 8 Product". 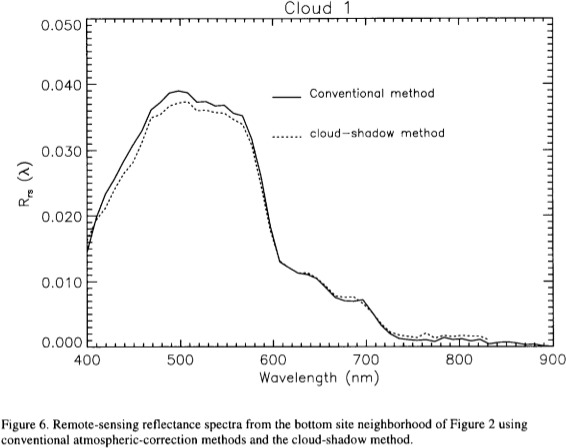 normally, one would have to perform a formal atmospheric correction, like using TAAFKA or the like: see for example University of California at Berkeley: this is a very complex and time consuming process, and we hear of artifacts caused by "over-correction". 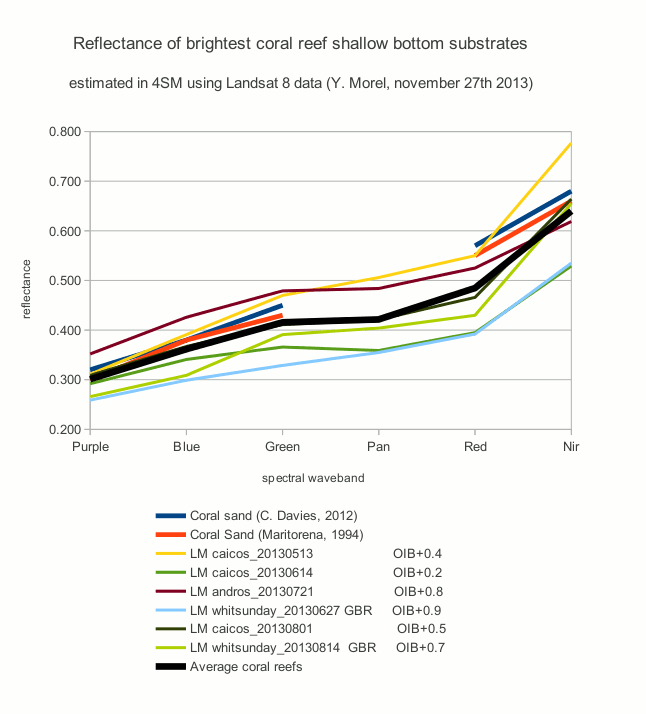 in 4SM, we use the deep water radiance Lsw and an estimate of the water volume reflectance Lw to derrive La=Lsw-Lw in units of DNs for all wavebands of Landsat 8 data. 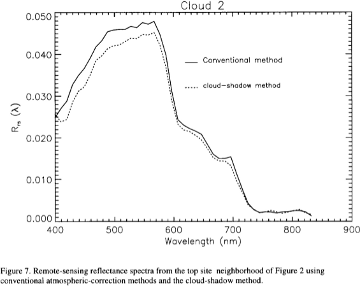 there is enough information in the multispectral image to do so, and the result is -to say the least- as usefull as that of a formal atmospheric correction over shallow water areas. with Landsat 8 data, there is even enough information to convert La and Lw in units of reflectance. This provides good control on the physical consitency of th values obtained. normally, one would need BOA reflectances as the input to any inversion of the radiative transfer equation, whether simplified or not. 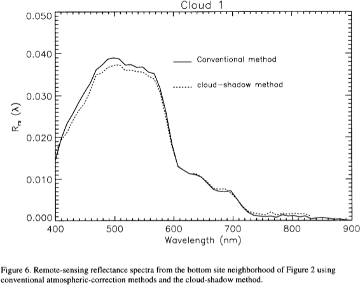 in 4SM, water column correction is achieved using spectral BOA radiances in units of DNs: L=Ls-La-Lglint: this yields water column corrected spectral bands in units of DNs at the Base Of Atmosphere, which may then be converted into units of reflectance (scaled from 0 to 1), for the purpose of bottom typing and coastal monitoring. 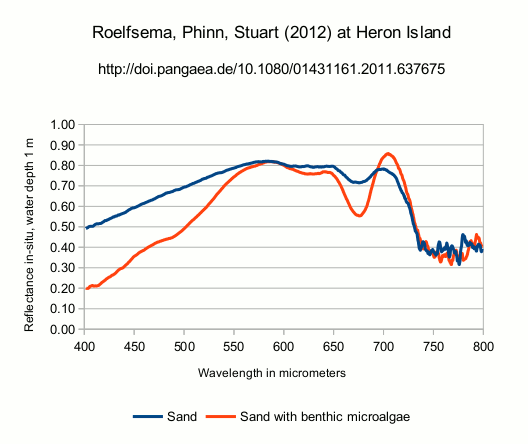 I have drawn the figure below from Roelsfema et al's data. 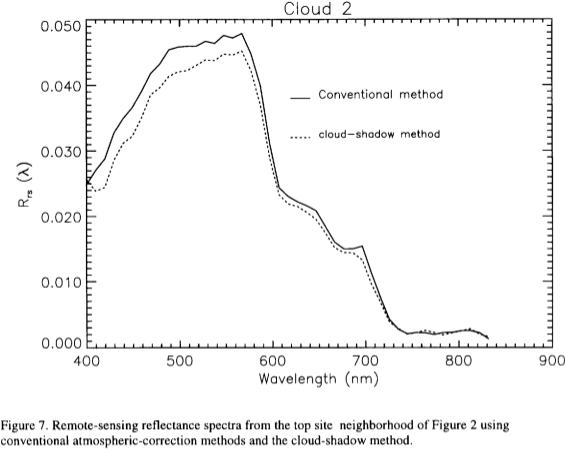 correlate with the "Remote sensing reflectance" analyzed below? I need to oppose situations of dense atmosphere with situations of clear skies.